Innovazioni Progetti presents its new World wide web global virtual showroom. Located on the Adriatic Sea Innovazioni an Progetti is an Italian boat builder founded in 1994 and 1998 presents its range of open sports cruisers the Mira and Alena, the first offering stern drive power and the second shaft in line propulsion. Innovazioni Progetti is a company headlined by three persons; Michele Carnevale designer, Danniela Fabri manager, and Mariano Giglio president with its main focus always being based on family comfortable cruisers and yachts, with luxury interiors fitted out in natural wood. The company has grown as to offer today a range of twelve sports cruisers and yachts, divided into three ranges; Mira four models, Alena five, and IP three. The line up starts from the ten metres of the 34 Mira up to the 72 Elena. 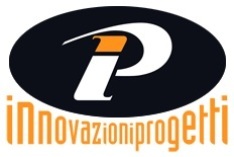 The new Innovazioni Progetti website takes you around in the following pages: Home, Flotta, Usato, Asistenza, Valutazione Usato, Partners, Communicazioni, Lavora Con Noi, Dove Siamo, and Contatti. The website has also like buttons for social networks as facebook, Tweeter, Linkledin, and Live. Again as the previous website version one of the drawbacks is that it so far only available in Italian, and again from here we hope for an English version.